The Data Studio team has been hard at work launching new features to allow for richer visualization and new views on data. Today, we'll highlight some of these recent launches. Pivot tables let users narrow down a large data set or analyze relationships between data points. Additionally, they reorganize user's dimensions and metrics to help quickly summarize data and see relationships that might otherwise be hard to spot. Coordinated coloring allows users to bind colors to specific data. When a user creates visualizations, Data Studio automatically binds colors to data, so that color:data pairs stay consistent between visualizations and when filtering. This feature is automatically turned on for all new reports, and available in old reports. 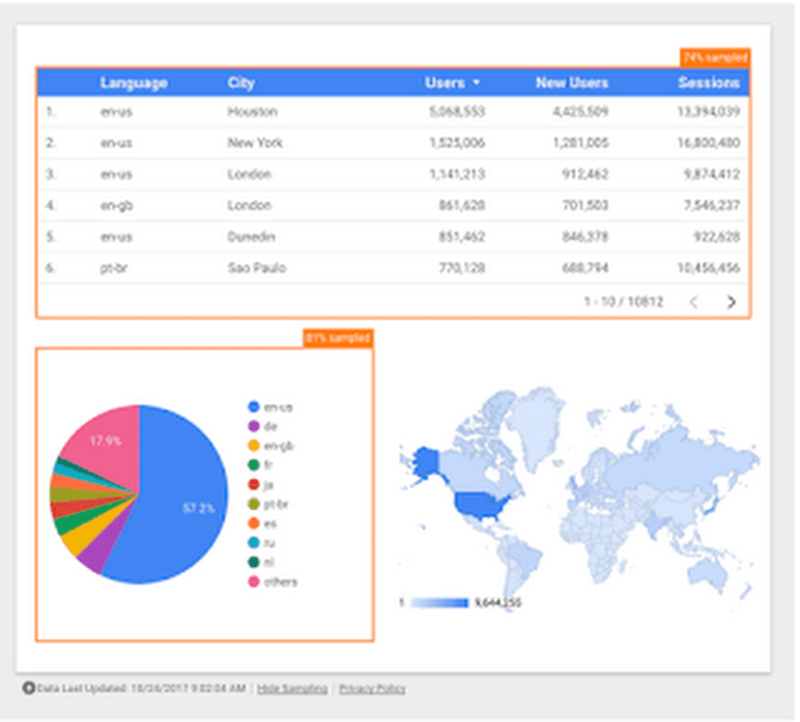 Google Analytics samples data in order to provide accurate reporting in a timely manner. 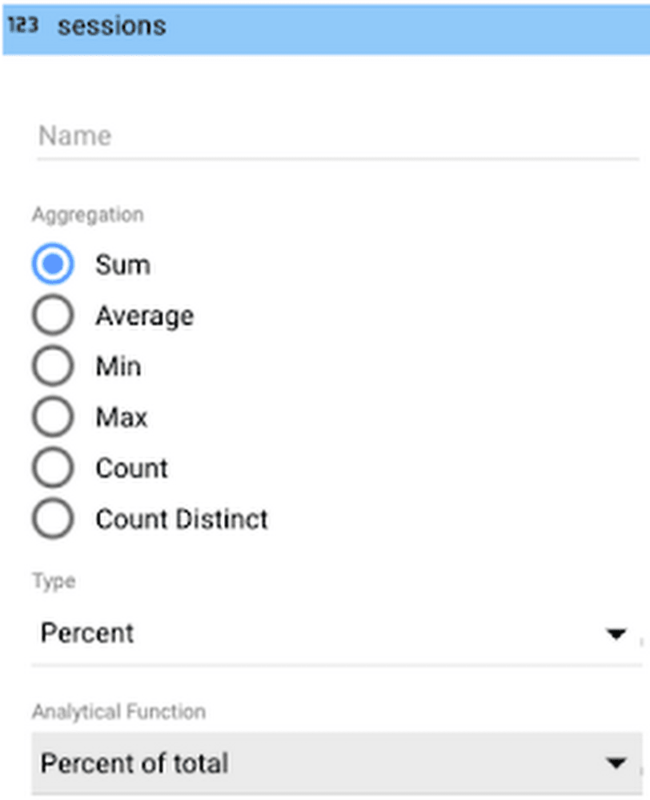 Data Studio now shows a sampling indicator in Data Studio reports when a component contains sampled Analytics data. Apply % of total, difference from total, or percent difference from total to a metric from within the report. Example of new field editing options (Help center doc here). The Data Studio team will continue to introduce new features and product enhancements based on your submissions. You can view requests submitted by other users, upvote your favorites, or create new ones. Learn more here.